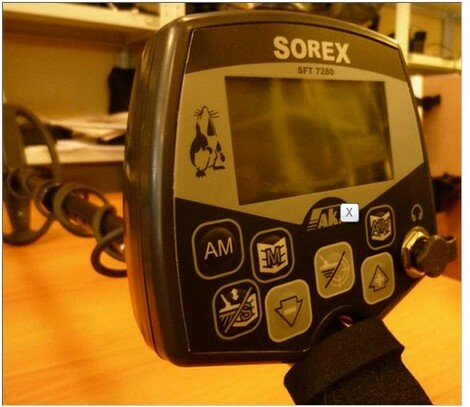 Metaldetector AKA Sorex 7280 is a microprocessor-based eddy current detector with compensated probe, has the capabilities and attributes inherent in developed foreign devices. AKA 7280 Sorex (on the S-shaped bar). - Waterproof, external electronic unit. - Estimate the weight -1050 grams (with batteries). - It is anticipated dual-channel signal processing system (PB, CT). - Platform SFT and its modifications. - The sensitivity of metal detectors AKA 7280 Sorex in the limit of 5 kopecks USSR (by air) - 40 cm (CT). - Seven buttons with tactile effect. - Algorithms for automatic tuning away from the ground. Depth of detection - experimental data measuring the reaction device with a maximum level of sensitivity in the open air. 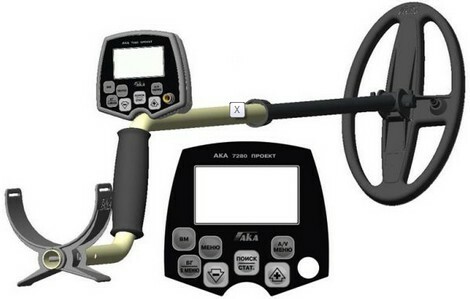 When searching in the land of the depth of detection in this device may be reduced by 5-10% depending on the type of soil and weather conditions.